Marks & Spencer is reportedly lining up Take That to front its Christmas campaign, a decade after the erstwhile boyband first appeared in a season ad for the retailer. According to The Sun, the pop group will feature in an ad "based around people getting Christmas surprises", with its members appearing unexpectedly as part of a "massive shock moment" at the conclusion of the ad. However, when approached by Campaign, an M&S spokeswoman would only say, "We don’t comment on rumour or speculation." 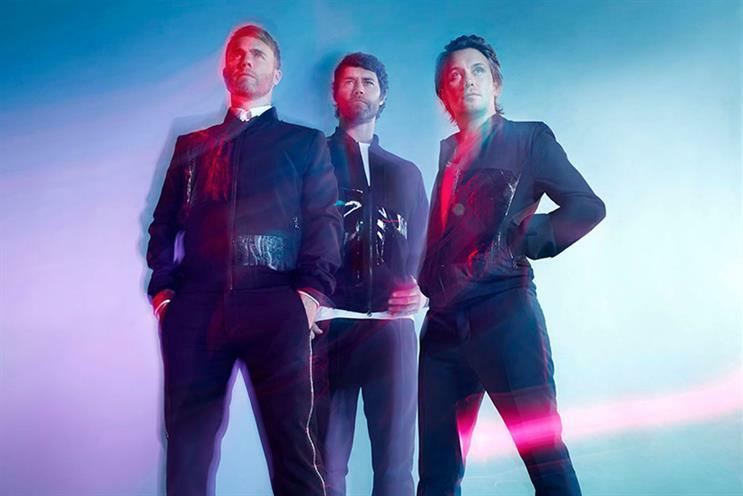 The band, set to release a greatest hits compilation to mark its 30th anniversary, has history with M&S, after Gary Barlow performed a cover of The Beatles’ Here Comes the Sun for its summer 2012 campaign. They also appeared in the retailer’s 2008 Christmas campaign, with the band cosying up around a fireplace with celebrity ambassadors including Twiggy, Erin O'Connor, Lily Cole, Myleene Klass and Noémie Lenoir. Last year's M&S Christmas ad featured Paddington Bear befriending a burgler. Despite being named Pick of the Week by Campaign, the ad failed to halt the retailer's sliding sales. It follows rumours that John Lewis’ eagerly-anticipated Christmas campaign is set to feature Sir Elton John, with his hit Your Song to be the soundtrack to an ad showing the singer during various stages of his life. Asked by Campaign about the reports, John Lewis Partnership chairman Sir Charlie Mayfield refused to comment, explaining that it was important to build "suspense and anticipation" ahead of the campaign. "What I will say is that we are not going to spend a penny more on this ad than we spent last year," he added, referring to reports that the singer is being paid £5m for his appearance. "Some reports of this are well wide of the mark." Earlier this month, M&S rolled out the first campaign for its clothing and home business since fully splitting its marketing operations from the food division earlier this year. The new digital-first campaign, created by Grey London, profiles the "must have" items from the M&S range across womenswear, menswear, kidswear, home and beauty.